The Higherlife Foundation has launched a Doctoral Research and Fellowship Scholarship to promote access to higher education and also contribute to the government`s objective of attaining a middle-income economy by 2030 through research. The fellowship, which was launched at Midlands State University`s Gweru Main Campus on the 27th of November 2018 will support Zimbabwean doctoral students currently enrolled in specific disciplines locally. 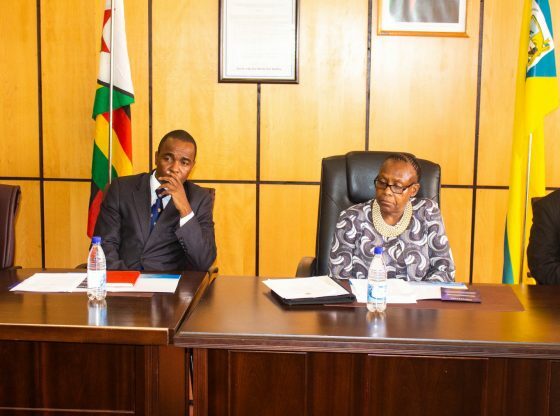 Additionally, it will also support Zimbabwean students currently enrolled at selected specialised universities in South Africa by providing scholarships and funding for research in a bid to increase the country`s skills and knowledge base. Addressing delegates who attended the event, Director – Higher Education Programmes in the Ministry of Higher and Tertiary Education, Science and Technology Development, Mrs Martha Muguti commended Higherlife Foundation for contributing to critical skills development in the country. ‘The Doctoral fellowship comes at the right time, just after the release of our national critical skills audit report which illustrated that whilst our literacy levels are 95%, our skills levels are at 38% only. This initiative under Higherlife Foundation resonates with our aspirations for vision 2030 and also complements our critical skills development strategy, she said. Higherlife Foundation Chief Executive Officer, Dr Kennedy Mubaiwa noted that his organisation will continue to support such programmes as a means of ensuring that the country attains a $250 billion economy by 2050. ‘We are throwing everything we have to make sure that Zimbabwe becomes an upper middle-class economy’, said Dr Mubaiwa. Midlands State University Vice-Chancellor Professor Victor Muzvidziwa said the initiative by Higher Life foundation to fund doctoral programmes and research, marks the concretisation between the private sector and academia in terms of cooperation in the areas of research and development. ‘This cooperation we are witnessing today is critical in driving innovation and this is a priority for us in the higher education sector, the government and the people of Zimbabwe. I would like to see the intensification of this kind of cooperation. Your pledge and vision in Africa in which young people find their vocation and are positioned to develop their communities for global impact resonates with our vision at MSU which is to produce internationally acclaimed graduates for the empowerment of society and the creation of wealth’, said the Vice-Chancellor. Higherlife Foundation came to life in 1996 as a response to challenges faced by orphans and other vulnerable children within society. During the launch of the programme, Higherlife Foundation recognised six doctoral students pursuing research in different areas. The programme focuses on a number of areas, which include engineering, manufacturing, health, public policy and education to mention but a few.